Summary: Situated in the north-east of Italy bordering Austria and Slovenia, the Friuli-Venezia Giulia region is recognised as creating the country’s finest Pinot Grigio. Nestled on either side of the Tagliamento river, Grave del Friuli gains it’s name from the gravelly soils, washed down from the nearby Alps. The region’s high altitude and cool climate create an elegant expression of Pinot Grigio, imparted with mineral complexity by the stony soil. 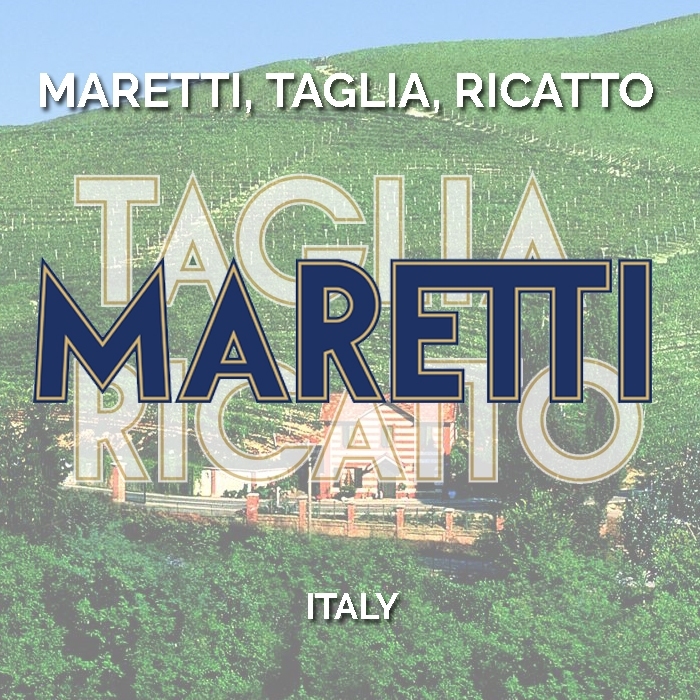 Winemaking: Sourced from a single vineyard high above the Tagliamento river and hand harvested in the early morning to retain natural acidity. Whole bunched pressed, aiming to limit skin contact and using only free run and first press juice. Fermented in stainless steel with temperature control before maturation on lees for six months to build texture and complexity. 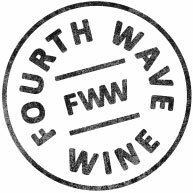 2017 Vintage: 2017 will go down as one of the more challenging vintages that required great skill, knowledge and experience to return to delivering the great wines we have come to expect from some of our favourite regions. Spring saw a significant frost event that has contributed to lower crop levels than previous years. This then doubled with many parts of Europe experiencing drought and heat throughout the growing season. 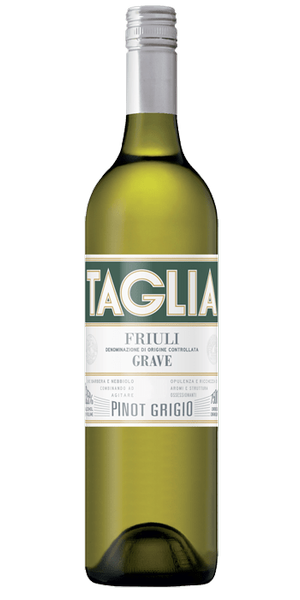 Fortunately for Taglia, the great hillside vineyards were more protected from both heat and frost and so ripeness was achieved with good acid levels. Tasting Note: A subtle nose of citrus, green pear, spice, mineral and white flowers. The palate displays softness of fruit with a finer acidity. A lovely fresh white wine best enjoyed in it’s youth.